Some carmakers are hell bent on teasing us. This time, we have Mazda announcing a “A BIG reveal in the BIG apple” through a video that could pose more questions than it answers. We’ll admit that our first thought goes to the facelifted 2018 Mazda6, especially since the lighting units seem to match those pictured in the video, but that’s already been announced and detailed. Not that we’d be surprised one bit, as we’ve seen worse teaser-tactics from manufacturers. 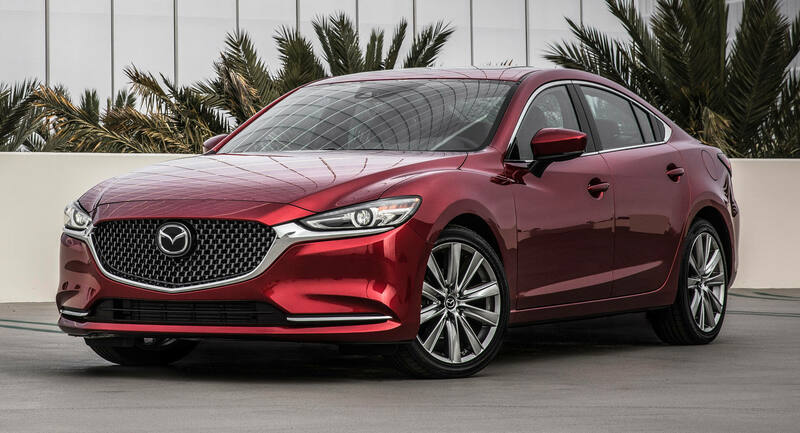 Recently, we found out that Mazda listed the ‘6’ with all-wheel drive on the National Highway Traffic Safety Administration, so unless it was a mistake, we think that might be the best answer. 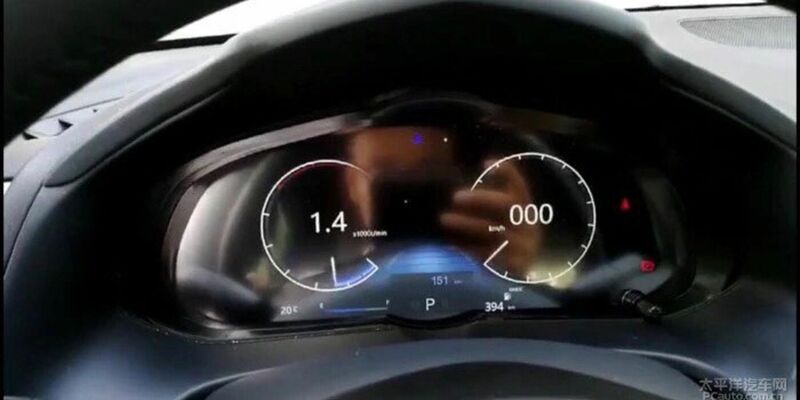 We also know for a fact that Mazda is preparing a brand-new ‘3’ hatch, with leaked images of its digital instrument panel making headlines last week. From the other models in its range, the only one that is approaching an update is the CX-3 small crossover that was presented in 2015, but that seems like a long-shot. Perhaps it’s something different altogether. Either way, we’d love to hear what you think in the comments. That’s the only thing, i guess. whatever it is, please dont have the pop up design nav screen anymore. Sorry but that needs to go. I wont buy mazda again until they rid that dash design. It’s in our CX-5 and there’s nothing wrong with it. The knobs near the gearshift makes it convenient and unecessary to touch the screen. It beats a clunky piece of plastic on/over the dash. Pop-up suggests it pops up out the dash but I take it you mean free standing to which you’re going to be mad because those are here to stay in the interim. Fingers crossed for you though. I’d die if they made that. I only wish. I’ve been hearing rumours of this for a while. Would be nice! I would love it if Mazda would bring back the 6 hatch! The first gen, still turns my head, if I see one in great condition. My ex tried to buy a used 6 GT hatch, which had a V6 and a manual transmission. Deal didn’t go through. My guess is the Mazda 6 station wagon! If it is; I will buy it! Im with you with a wagon, but really hoping they have a “soft-roader” lifted 6 wagon to compete with Outback and Regal TourX. Mazda 3 or perhaps a Mazdaspeed 6? Im curious here… I know about a year ago, Mazda was looking at bringing back the “speeds”. Im wondering if this, in addition to the new AWD – will be the BIG news to present itself to us tomorrow, on the new Mazda6. It could happen… I think? Maybe not in our lifetimes? We wish! I still want a yellow ’92! Can’t wait to see 🙂 probably Mazda 3 or…..will see tomorrow! I own several Mazda’s…received email notification from Mazda of big reviel tomorrow. The teaser image seems to hint at a pre-production / production Mazda 3. 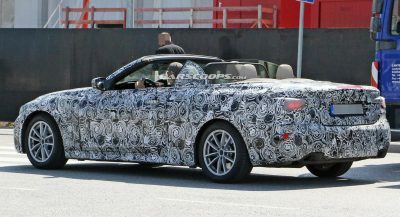 Image only shows front 3/4 but from what I can tell, it’s low to the ground (non-suv) with a splitter and side strakes. Hood over hang also hints at Mazda 3 KAI concept….fingers crossed! Could be the long delayed Mazda 6 2.2L diesel. Headlight design on images of the facelifted 6 are different from the teased lamp, the corner marker/reflector is shorter and lacks an extra detail bar the 6 seems to have. 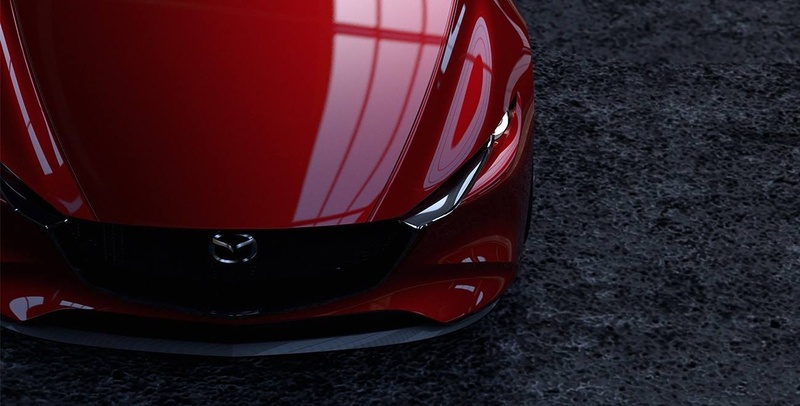 As far as the separate image sent out by Mazda, I don’t think the teased image is of that, either. The teaser lamp is definitely enclosed in a lens while that front top 3/4 shot shows a front lighting element that isn’t. Teaser video could be the production 3 and that other image be of a GT-class car concept? Mazda did a great job so we cannot see the car if we manipulate the contrast and everything. So they’re putting the front of the Mazda 6 onto the Miata? I don’t think so somehow. I think it’s either the next generation 3 or some CX-7 crossover. There’s been talk of a CX-7, but it’s probably not that. My money is on the next Mazda 3. Can’t we get another Mazdaspeed 6 please? Or at least a performance variant if Mazda sdoesn’t want to use that moniker. Exactly what I assumed. Thanks for confirming. I’m sorry, for being a monkey. If it’s the AWD 6, I’ll put my order in now. 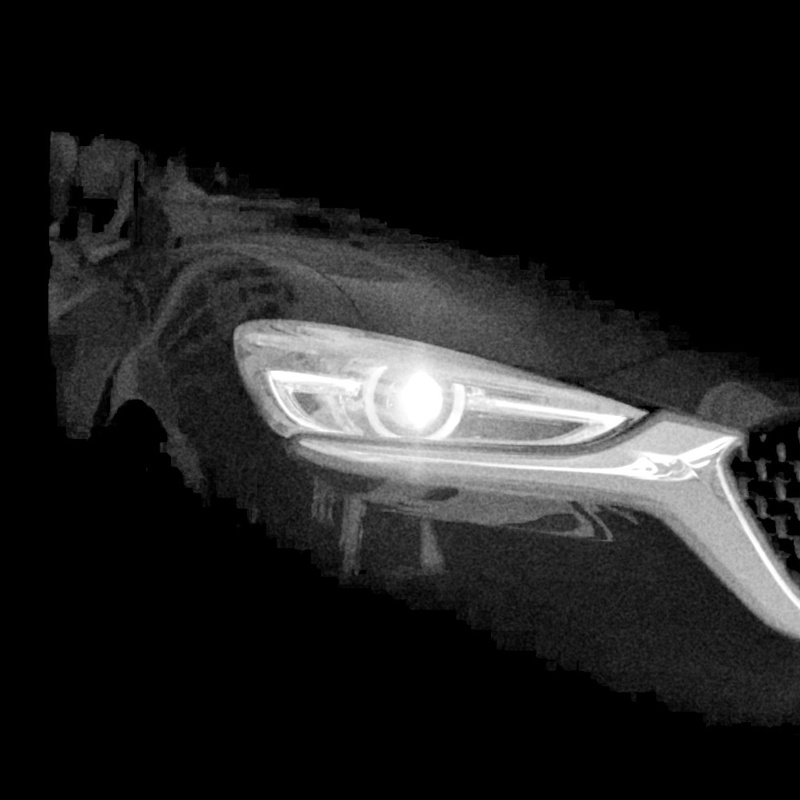 The headlamp looks exactly like the Mazda6 refresh so I think it’s safe to assume that this is the reveal of the AWD Mazda6. How funny would it be if it was the diesel in the CX-5? Spoiler alert: It wasn’t a new vehicle it was the Facelifted 2019 CX-3 a new Tagline called “Feel Alive” but they did show off the Mazda Kai Concept from the Tokyo Motor Show. yeah I watched it on YouTube and turned it off when I saw it was something not big at all. I was hoping that I’d come on here later and see that I left the presentation too early, but sounds like I made the right choice. 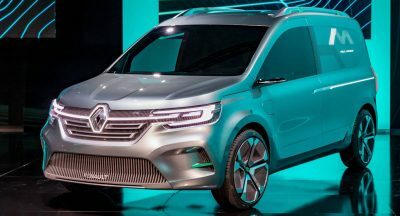 While very similar, the headlights are smaller in proportion to the grille than the 6, so fingers crossed it’s the new 3. Apple Car Play and Android Auto coming to all in 2018/2019. I’m going to play it safe and guess twin-turbo Wankel RX-9 shooting brake. I have a 2016 CX-5 and love the integrated LCD screen. The 2017 screens look hideous. Like someone is balancing their tablet on the dashboard. It was just a dud promotional event! It like April 3rd! Crappy Mazda!